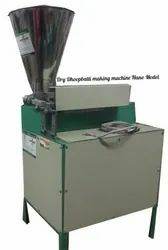 Our product range includes a wide range of plc based dry dhoopbatti making machine, fully automatic dry dhoop stick making machine plc model, plc base dry dhoop stick making machine, dry dhoopbatti making machine nano model, dry dhoopstick making machine nano model and automatic dry dhoop making nano machine. · Diameter of dhoopbatti 10mm, 8mm, 6mm. · Required power 2.5HP three phase/single phase. · Required space 4 feet x 6 feet. · Length of Dhoopbatti 4", 3", 2". · Machine weight 190 Kg. 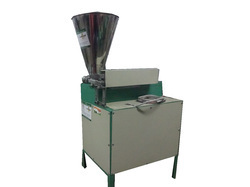 · Free Receipee, Training of operating and general maintenance of the machine. · Free 1 tool set, nozzle. · Spares available at any time. Stick Length 4", 3", 2"
· Required power 1H.P three phase/single phase. · Required space 3 feet x 3 feet. · Machine weight 90 Kg. Size (inch) 4", 3", 2"
· Diameter of Dhoopstick 10mm, 8mm, 6mm. · Free Recipe, Training of operating and general maintenance of the machine. Diameter of Dhoopbatti: 10mm, 8mm, 6mm. Length of Dhoopbatti: 4”, 3", 2". Soundless and smooth working. Made in India. Power Required 2.5HP three phase/single phase. 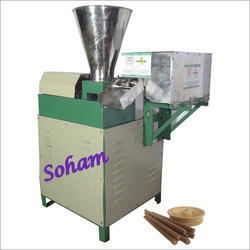 Dry Dhoopbatti Making MachineMachine design & Working Theory Copyright by Sohamtex Engineers. Required power: 2.5HP three phase/single phase. Required space: 4 feet x 6 feet. Length of Dhoopbatti: 2’, 3", 4". Free: 1 tool set, nozzle. Fully automatic machine.Made in India. 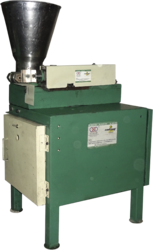 Dry Dhoopbatti Making MachineMachine design & Working Theory Copyright by Sohamtex Engineers.Machine Speed: 90 piece/minute Production: 40000 pieces/day Electric control panel With Stepper motor & PLC. Size: 6mm, 8mm, 10mm. Required power: 2.5HP three phase/single phase. Main Motor: 2HP Stepper Motor: 0.5HP Required space: 4 feet x 6 feet. Length of Dhoopbatti: 2’, 3", 4". Machine weight: 190 Kg. Free: Receipee, Training of operating and general maintenance of the machine. Free: 1 tool set, nozzle.Warranty: 9 months.Easy to operating & low maintenance. Spares available at any time. Full Technical support after sales. Lifetime telephonic technical support free after sales. Soundless and smooth working. Fully automatic machine.Made in India.